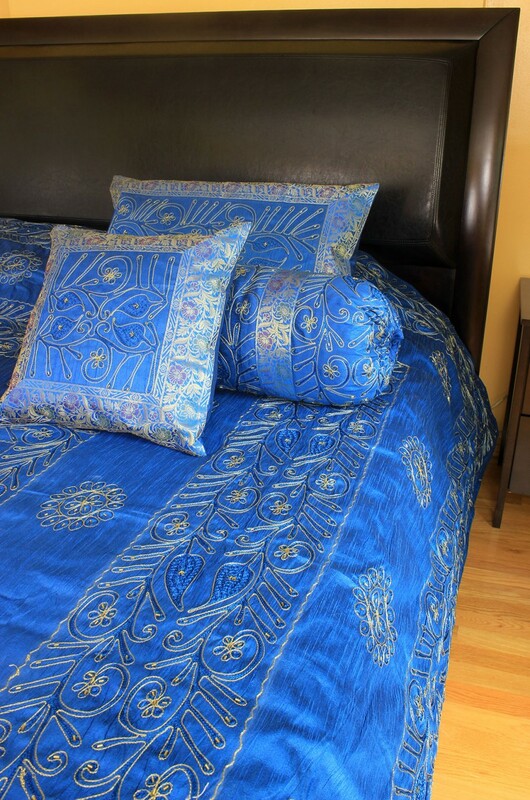 Bring elegance to your home by indulging in this beautifully designed, one of a kind Ornamental 7-Piece Duvet Cover Set from Banarsi Designs. This uniquely crafted 7-piece duvet cover set gives your home style and panache. Each breathtaking piece features hand stitched beading applied with the utmost caring craftsmanship. 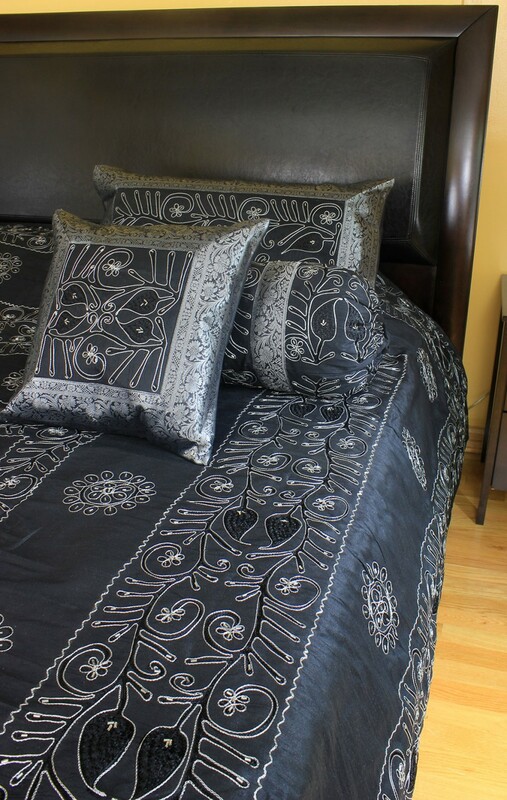 When placed in your bedroom or your guest bedrooms, this bedding set gives your surroundings a look and feel of utmost sophistication and refinement. Available in vivid color options, you can style your home any way you like with this elegant set! Choose from the deepness of mystic black or the vibrancy of saffron red, or blue. 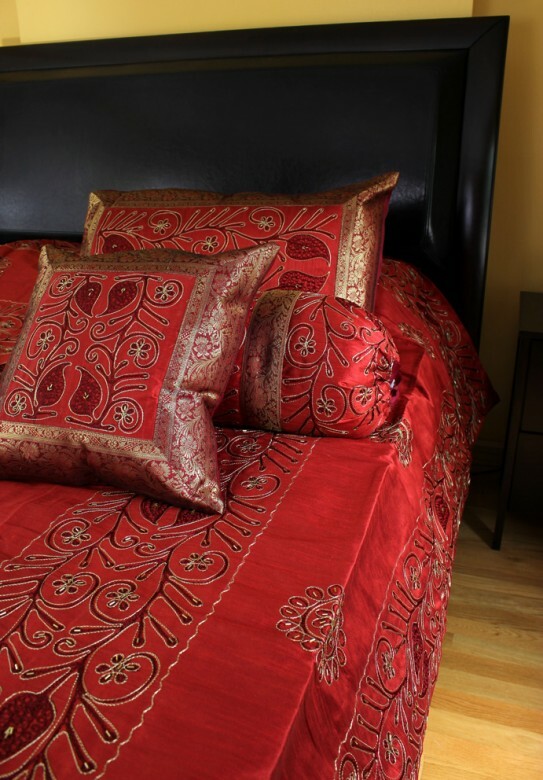 Allow these richly beautiful colors to complement your home’s current decor, or let the Ornamental Embroidered Duvet Cover Set take center stage. The Banarasi saree border adorns this unique and whimsical floral design. Regardless of the color you choose, you can be confident that you are decorating your bedroom with a completely original and exclusive design.